At this year's Australian International Beer Awards, much like last year's, one of the big winners of the night was Queensland. 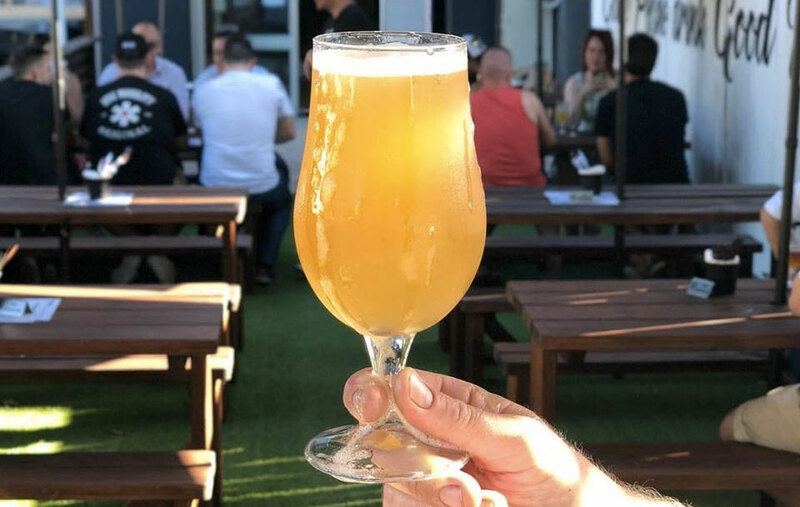 Gold Coast based Black Hops Brewing and Brisbane's Green Beacon took out Champion Small Australian Brewery and Champion Medium Brewery respectively while a truckload of gold medals were spread among many of the state's other breweries. Such accolades might not come as too much of a surprise to those who follow the Sunshine State beer scene closely; last year, more breweries opened in Queensland than in any other state in the country (with the Sunshine Coast alone growing from one to ten in less than four years), Balter took out top spot in this year's GABS Hottest 100, while relative elder statesmen of the capital's scene, Green Beacon and Newstead, have opened production breweries in addition to their original brewpubs. 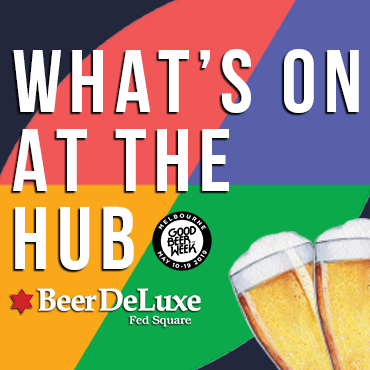 But, with so many new brewing companies starting up (and a rather large international operator moving in too), it raises questions around just how many new breweries and how much more locally brewed beer the region can handle. Indeed, with openings continuing across the country – The Crafty Pint co-hosted a larger audience at this year's brewery startup panel at Good Beer Week than in any of years we've been running it – the situation in and around Brisbane could be seen as something of a microcosm for the beer industry across Australia. One person who's watched (and played a role in) its growth is Ben Nichols. As one of the owners of The Scratch Bar and Netherworld, as well as a founder of Brewsvegas, Ben works closely with local breweries. “There was only a small handful of [local breweries],” he says of the early days of The Scratch in 2011. “When we first opened up, we opened with Bacchus Brewing and internationals and that gives you a pretty idea of what was actually on offer at that particular point in time. Ben Nichols, right, pouring beers at Netherworld. He believes there's still plenty of room for growth since Queensland was slower off the mark than some other major centres. “I think it’s got a long way to grow," he says. "Sure, more breweries are opening up but so too are more pubs and bars looking for local beer. “It seems to be expanding fairly quick in Brisbane, but, hell, if Melbourne can have all the breweries under the sun, then why can’t we as well?" Possible the biggest shake up will come when Scotland's BrewDog opens its Brisbane brewery next year. Following the recent announcement Brisbane City Council had approved its plans, construction on the $30m brewery, taproom and restaurant looks set to begin next month. Once the brewery is online, it will be one of the country's largest; the expectation is that BrewDog will start producing 10m litres of beer annually within its first few years of operation – Coopers and Stone & Wood are the only independent Australian breweries currently brewing more. It will certainly add to competition too. Mark Howes, co-founder and CEO of Newstead Brewing, is another Brisbane local who's watched the industry explode around him since launching one of the city's first new wave of breweries a mere four-and-a-half years ago. He says growth locally as well as the increasing number of national brands entering the market has led to the start of the sort of price wars we've previously written about in Melbourne and Sydney. But, like Ben, he says there remains untapped potential, particularly outside the existing craftier outlets, describing regional Queensland as "still the frontier of good, independent beer." "We still have a lot of work to do in Queensland," he says, highlighting the importance of small breweries telling their stories to customers. "It's very much a cultural thing. Maybe there's a lack of education from breweries themselves around the importance of independence and quality ingredients and supporting local." But what of the brewery owners who've entered the game in the past 12 months? Is growth sustainable? Will we reach "peak small brewery"? How do you stand out in an increasingly busy marketplace? We spoke to some of them in our latest look at the challenges and opportunities that exist when launching a brewing company. Jay Neven – one of the owners of Revel Brewing Co, in Bulimba. Formally, the brewery was called Malt Brewing but changed its name due to a potential trademark clash with Lion's Malt Shovel. Scott Shomer – co-founder of Helios Brewing, an environmentally-minded brewery that opened in Yeerongpilly at the close of 2017, signing trophy-winning brewer Charlie Hodgson from Mash in WA. Lucy Martin – co-owner of Archer Brewing, which brews in the International Hotel in Spring Hill. 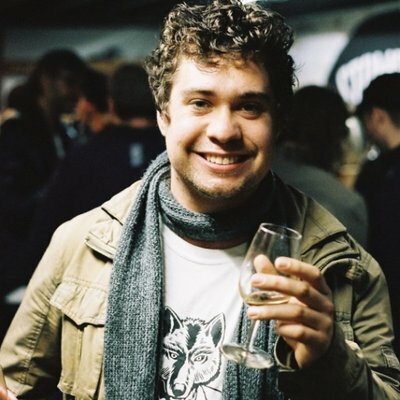 Adam Gibb – founder of White Brick Brewing in North Lakes, in Brisbane's outer north. 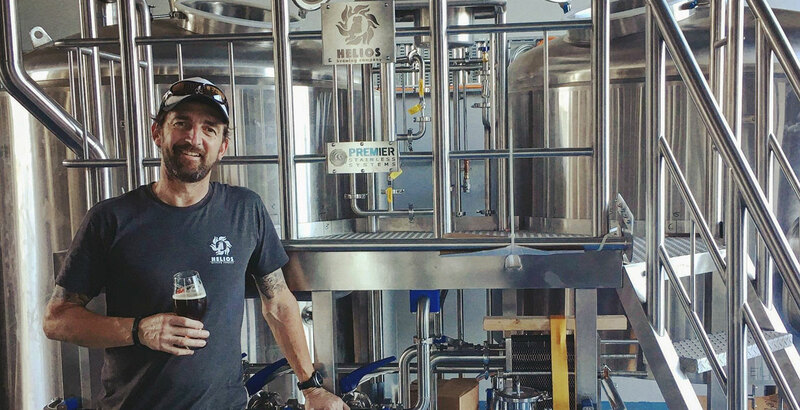 Deale Stanley-Hunt – Deale and his wife Elisa opened Slipstream Brewing in August last year a short distance from Helios and Ballistic Beer Co, which only released its first beers 18 months ago. Why have you decided to launch your brewery now? The beer garden at Bulimba's Revel Brewing. JAY NEVEN: I have a real passion for small business and have always wanted to bring something truly unique to my home suburb of Bulimba. After many years of pastime brewing, and hand making pizzas every Friday night for my friends and family, they finally convinced me to scale up and bring brewing back to Bulimba. I wouldn't have done it anywhere else as I'm very proud of our little riverside suburb and everything it has to offer our community and those that visit the cultural artery of Oxford Street each weekend. Bulimba has a 135 year history within the brewing industry and I'm proud to put us back on the map. SCOTT SHOMER: I was fortunate to have gotten involved in the craft brewery movement in the US during its massive expansion in the 90s when I was in graduate school and I did it on the side of my hydrology and contamination treatment studies. I always said when I am ready to be semi-retired I will open my own brewery. I lost my dad recently to Alzheimer’s and said: “Life is too short, I’m not waiting." I started looking for places in and around Brisbane four years ago, found this one in 2016 and spent 16 months with council and then moved full speed ahead when we got approval in July 2017. We were brewing by the end of November! LUCY MARTIN: The three of us had been working in beer for a while, mostly for other people, and then Stuart [Martin] had the idea for Archer and he’d worked with Gavin [Croft] before, and it all hinged on whether Gavin said yes, and he did. It was a bit right place, right time for everyone. ADAM GIBB: I believe that suburbs are deprived of good beer. There are a lot of beer drinkers with families that don’t want to travel too far, so having something in the area is important. Microbreweries should be the hub of a local community [as they] can provide support, space, skill and a place for communication. Support local, drink local. DEALE STANLEY-HUNT: After leaving 16 years of employment with a multinational, the timing was right for us to create a family business in space that we were passionate about – craft beer. Helios head brewer Charlie Hodgson, enticed to switch coasts from Mash in WA by the Brisbane startup. 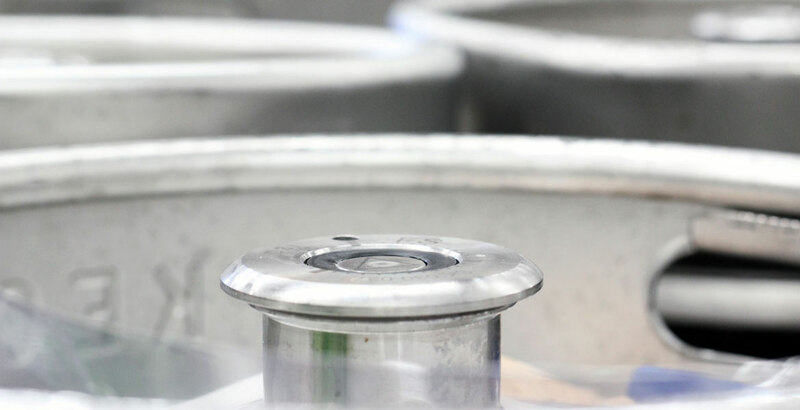 JN: We are a brewpub by nature (brewery and pizzeria), however our business plan is extensive in that we have the ability to produce high-quality small-batch distribution of kegs and canned product for our local market with plans for scalability into the future. SS: Brewery, with cellar door open 15 hours per week to the public. LM: The original idea was just wholesale production but, once the opportunity came up to join forces with the International Hotel, we now enter wholesale and brewpub, which was always the eventual goal. AG: We are production brewery with a cellar door; we were refused permission to become a brewpub. It’s great we can support local food trucks and cafés though wholesale delivery does present its own issues. DSH: We run a production brewery with cellar door. 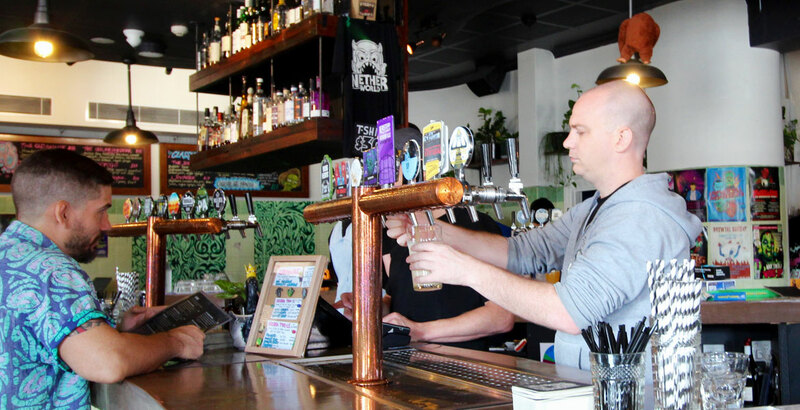 What do you think the next few years will look like for craft beer in South East Queensland? 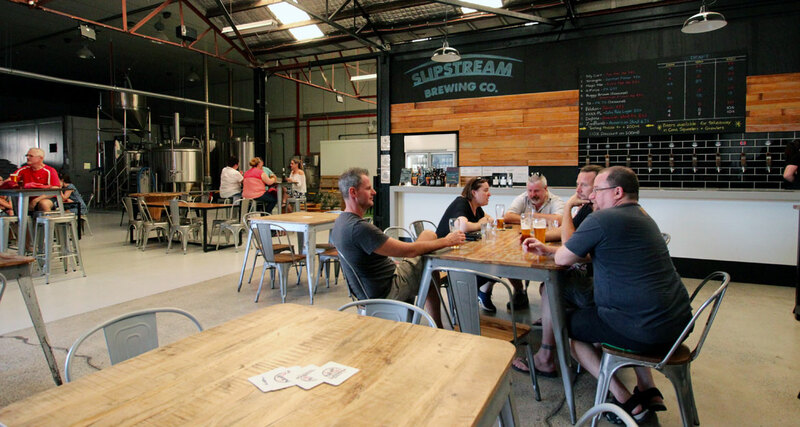 The brewery venue at Slipstream in Yeerongpilly. JN: It's an exciting time for the industry; we've got consistent growth year on year and I believe there is a real appreciation from the communities that surround our breweries now in regards to understanding "fresh is best". The word is spreading, and people pop in all the time wanting to shake our hands, meet the makers and take something truly fresh, local and special home for their friends and family to share and talk about. That's what differentiates craft from big beer. It's about quality, not quantity, and I believe we're only just getting traction now – critical mass is still a fair way off. You only have to look abroad in the US and our local wine industry to see what is in our future, we have a long way to go 'til we get to that point – and a heap more government acknowledgement and support to further drive the growth of our industry which is just getting exciting in Queensland with the announcement of the Queensland Government Craft Beer Strategy. Ultimately, there will be a tipping point and my personal view is that, whilst some may not survive that, the brewpub model (or those breweries that focus on their local communities) should ride the wave and thrive into the future as a foundation of the evolving industry. SS: I think everyone is simultaneously excited by the growth and holding their breath. In the US there are now more brewpubs or microbreweries than before Prohibition. If you are in the market to be a national presence and distribute to all the prime shelf spaces in bottle shops, infinite growth should be very scary. If you are in the business of being your community’s local watering hole and produce a product that stands out in the market, I think you will be just fine. 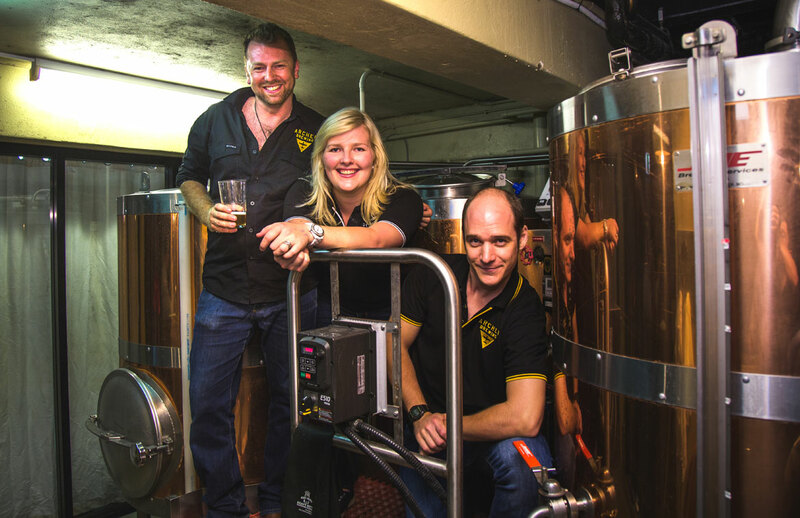 The Archer Brewing team (left to right): Stuart and Lucy Martin and Gavin Croft. LM: Queensland will always be more conservative I think, with lagers and pale ales dominating, but I think that’s very weather orientated. That trend will probably continue, and diversity of style will slowly increase. AG: I think there will be more mainstream style craft beer as we try and capture more of the undecided masses drinking the large, commercial product. Yes, a crowded local market is threatening. Ideally, the continued change in habits will drive more craft beer bars and small community establishments that directly cater to a local need. These type of venues will give us an outlet that supports local beer as well as some tap variety. Lots of rotating taps doesn’t really help anyone. DSH: New breweries will continue to open: if their model and location is well considered then they should have a healthy outlook. There is an increasing consumer demand for craft beer and to drink at their local brewery. I'm optimistic that there is room for many breweries in South East Queensland. What one thing, above all else, do you believe will help you succeed in today's busy marketplace? 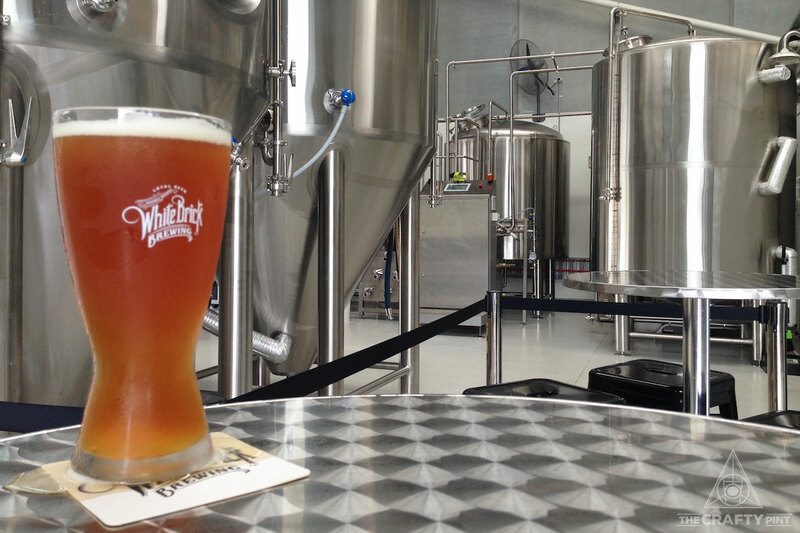 White Brick Brewing – bringing locally brewed beer to Brisbane's northern suburbs. JN: Quality of product for the community we serve. Love is in the detail, and we [take great care] over every element to ensure that our beers are of the highest quality for our community. Whilst we are only relatively new, we're doing our bit to help wherever we can with our sustainability programs, local charity involvement and have some really exciting plans for the future to really put Bulimba back on the map as one of South East Queensland's greatest craft beer destinations. SS: We have gone to great lengths to design everything to be more sustainable; that’s more than just a cute business catchphrase. We use less water and produce less waste, we are solar powered and the beers are heated by solar thermal collectors. With costs of gas, electricity, water and sewerage continuing to rise aggressively, our humble little brewery will have vastly lower costs than any of our peers. THAT is competitive. We did it to be green and see what was possible in our green-engineering when building a brewery but there are real commercial advantages too. LM: High quality of beer, and consistency. It always helps to have Gavin Croft’s brewing ability too. AG: Great product and a great venue with service that makes the cellar room a place you need to visit regularly. DSH: Having a diversified business model and not relying on any one part of the business in order to grow and be successful. Additional reporting by Mick Wust. You can view other articles we've written related to starting a brewery here. And, if you're reading this in WA before the 2018 Brewer's Conference, running alongside the Perth Royal Beer Awards, and would like to learn more about starting a brewery, why not register for a free Brewery Startup Panel. We're hosting one with Cryer Malt on July 14, 2018, following previous events at Good Beer Week and Sydney Beer Week.